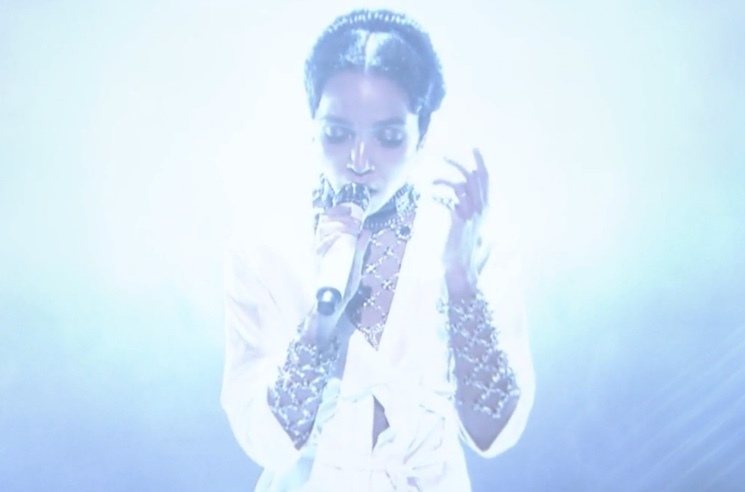 Last week, FKA twigs dropped a new video for her latest single "Good to Love," and last night (February 24), the UK singer took to The Tonight Show Starring Jimmy Fallon to perform the track live. Dressed up in white with lots of sparkly accents, the artist born Tahliah Barnett looked as angelic as she sounded. Her backing band followed the same motif, punctuating the soft song with bursts of measured noise before providing the instrumentals for Barnett's mid-performance dance routine. Watch the dreamy late-night appearance in the player below.